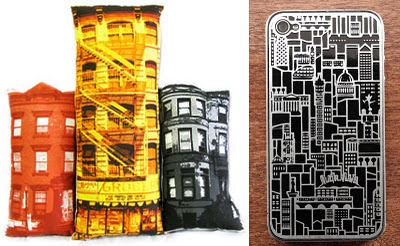 Gift ideas for a fan of architecture can be both easy and difficult. At least there is a theme, but finding the right gift may not always be easy. 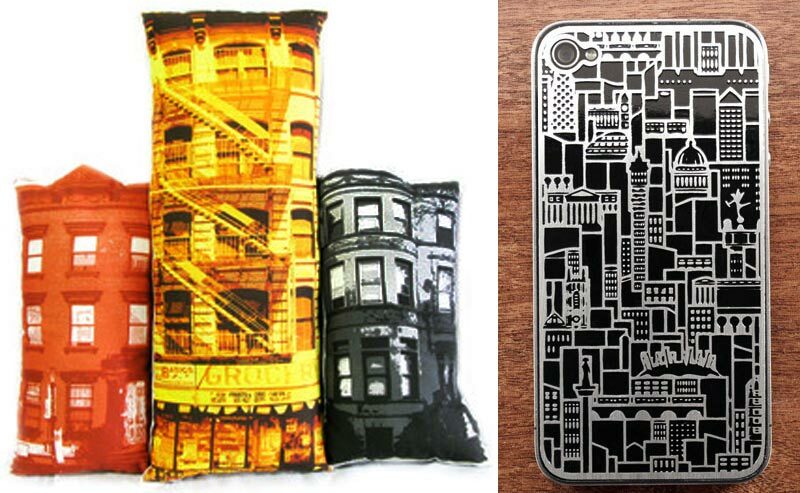 Check out this etched stainless steel iPhone or mobile device cover with international buildings and architectural theme. Designer Patrick Chirico lives gets inspiration from his neighborhood in Brooklyn, N.Y. and creates decorator pillows of brownstones and buildings. Keep warm with this a soft Lambs wool skyscraper scarf. A large glass Capitol dome would make a smart center feature to a holiday table. Crate & Barrel’s Milk Chocolate Grahams come in a house-shaped boxes. C&B also offers a “Fish House” an architectural fish habitat for your modern home. Toys are always a good idea for budding architects. I’ve written in the past about holiday gift ideas.